Please note that you are free to copy and/or reuse this guide, in whole or parts, provided that you reference (link) to the original source, i.e. this page. This guide will help seniors of all ages to understand some of the options open to them and precautions that they should take when it comes to owning a home, downsizing, paying a mortgage, taking out a reverse mortgage, and selling property. A home is a central part of everyone’s life. If you are a senior and you have lived in your home for many years, that idea takes on a whole different meaning. You’ve raised your children there, you’ve held meaningful family gatherings there, and you’ve created countless memories. You’ve also probably invested quite a bit of your time, effort, and income into the house over the years in the form of mortgage payments, maintenance, repairs, and renovations. Not to sound dramatic, but the very thing that has housed your family and holds so many dear memories can turn into a real burden if you don’t plan ahead. For some, the strain is physical in the form of regular, exhausting maintenance. For others, it’s the draining financial responsibilities of the mortgage, bills, and upkeep. And for some, the house just becomes glaringly impractical either because it has more space than they need, stairs that they can no longer climb, a yard that they can no longer maintain, or is located too far from friends and family. While it’s easy to get hung up on a home for sentimental reasons, it’s smart to think about it in terms of what will keep you physically and financially independent for the longest. There’s no sense in going broke or compromising your health over a piece of property that no longer suits your needs. Everyone has a different definition of what a senior is. After all, it’s an age group that spans 40 years. The average age of retirement in this country is 65. In the real estate industry, a 62 year old is considered a senior. Meanwhile, the AARP allows members to join when they are 50. And, of course everyone in that age range feels a different age: some 75 year olds feel more mentally and physically fit than some 65 year olds and even some 55 year olds. Whatever a senior’s actual age or physical or mental condition, there is one thing that everyone in that 40 plus year age range has in common: they should all be planning ahead and thinking about their financial future, especially when it comes to housing and finances. This guide is meant to give an overview of some of the options that seniors have when it comes to real estate and mortgages. The more that you know about what’s out there, the better your chances are of making good decisions that will lead to a comfortable life. Though we have done our best to make this guide comprehensive, you should do further research before making any big financial decisions. Be sure to run things by an impartial third party like a lawyer or a trusted real estate professional before making any commitments. There are many people out there looking to take advantage of seniors who may not understand all of their options, so be careful! Here are a few examples of the types of problems (and some solutions) that seniors might find themselves dealing with. Solution: Alex should seriously think about selling the house and using part of the cash to purchase a zero lot line, ground level condo or apartment near his daughters that requires no yard work, very little maintenance, and is in walking distance to restaurants and stores. He should invest the remaining money (which may come in handy later) and use the dividends to enrich his life with travel and other enriching experiences. Problem: Nate and Courtney are both about to retire and have a few years left on their mortgage. They aren’t sure if it makes more sense to try to pay down their mortgage with retirement funds or if they should just keep paying the mortgage till the end. They are both nervous about not having enough money to keep up with their mortgage payments should one of them fall ill. Solution: The couple should meet with their financial advisor and consider their options. If they qualify, they might choose to refinance the mortgage at a lower rate and for a shorter number of years. Though their payments will initially be higher, the long-term finance charges will be lower and they will pay off their mortgage sooner. With taxes and early withdrawal fees, it’s probably not in their best interest to take money out of their 401K or IRA to finish paying the mortgage. However, if they have adequate savings for retirement and also have some investments with a smaller percentage return than their mortgage, they should use those investments to pay down the mortgage. Problem: Rosemary and her husband George have been living in the same house for 30 years. Unfortunately, George has Alzheimer’s and requires a nurse to visit at least once a day and the bills are piling up. Some friends have suggested that she put George into an assisted living facility, but Rosemary feels that he will probably do better in the long run if he stays in a familiar environment. Rosemary is having trouble juggling health care payments with her mortgage payments and other bills and isn’t sure what to do. Solution: Rosemary should consider a reverse mortgage that will allow her and George to stay in their home and will pay for George’s health care costs. Though it will ultimately pay out less than the value of the house, it saves her the mental and physical strain of packing up and moving. Also, remaining in the home will likely make George’s last years more tranquil and positive. Problem: Craig and Sarah are in their late 60’s and all three of their children have moved out and have graduated college. They are both retired and want to spend some time travelling, but don’t have much cash. Out of the blue, a realtor gets in touch with an offer on their house. The offer couldn’t have come at a better time: it’s a lot more money than they paid for their house and the funds will allow them to travel. Solution: Is this a problem? Probably. It’s a cliché, but if it sounds too good to be true, it probably is. People will often make lowball offers to seniors, knowing that they don’t know the market or the true value of their property. Craig and Sarah should first do some research to find out how much their house is really worth. They can look up the tax assessments for other nearby homes and they can talk to a trusted and impartial realtor. Also, they should get a second opinion on the offer from a different realtor or real estate professional. When it comes to real estate, it is crucial that seniors think about their financial future and not let a sentimental attachment to a home get in the way. That is, of course, easier said that done! “The biggest mistake that the older seniors are making,” says Senior Living Realtor Armand Christopher, “is staying in their homes for longer than they should. They need to move to a community where there is care. Or they need to be looked after by home health or by their adult children.” The longer a person stays in a home that is not suited to his or her current needs, the more expensive and physically and mentally draining it is ultimately going to become. For example, the hypothetical senior in the above situation could downsize by selling the $600,000 home, purchasing a more manageable $200,000 home, and then invest the rest. That money is going to pay off in the long term. Even if it’s only a 5% or 2% interest, the person is still making something off of that money and saving by lowering expenses on utilities and maintenance. The concept of downsizing is key for seniors when it comes to long-term independence. As seniors get older and less able to navigate steps and basements and big yards, downsizing to a smaller, more manageable home allows them to maintain the tax benefits and independence of home ownership. They may also want to downsize to a place that is in another part of the country with nicer weather or that is closer to amenities like stores, golf courses, parks, their children, etc. For younger seniors, it makes sense to think about the future and to downsize to a home that they can grow old in—before they find themselves in a desperate situation. The purchase will free up capital that can be invested now, and they’ll be making an important decision while in a sharp state of mind. According to the AARP, 25.5 million seniors ages 50 and older still have a mortgage. Though you may have always hoped that you would be able to retire without a mortgage, chances are good that you will still have one. If you know that you will still be paying your mortgage after retirement, start planning now for strategies that will keep it manageable while you are on a fixed income. If you have a lot of savings or a huge retirement fund, you may have wondered whether or not you should just use that money to pay off your mortgage. Using funds from your 401K or from your retirement funds almost never pays off, as you will have to pay taxes and possible early withdrawal penalties. However, if you have savings and investment accounts that are earning less than you are paying on your mortgage, then it probably makes sense to use that money for your mortgage. For example, if your mortgage rate is 6.3% yet your investment account only gives you 4%, you are probably better off paying off some or all of your mortgage. Another thing to think about is that your mortgage payments are usually tax deductible. Consult your accountant to see if it makes more sense to keep paying the mortgage so that you can continue to take advantage of the tax deduction. Many retiring seniors worry about whether or not they’ll be able to make their mortgage payments on a fixed income. One solution is to refinance. If you have an adjustable rate mortgage and you are able to refinance to a fixed rate mortgage, this is a no brainer. Not only will the monthly payments be lower, but they will be at a fixed i.e. predictable rate. You can also refinance to a lower rate or to a new mortgage with a longer term that spreads the payments out and brings the monthly costs down. This can save you a lot of money every month in the short run, but will extend the length of your loan and add on finance charges in the long run. Again, this is the kind of thing to run by your financial advisor first. A third option, if you have the capital, is to purchase an annuity that produces regular payments that will cover the mortgage. Roll over a 401K or IRA into an annuity that lasts until the end of the mortgage term and avoid a big tax bill. Annuities are a famously tricky product though, so again, discuss this thoroughly with your tax advisor. No matter what you decide, whether it is to downsize to a smaller property, to refinance, or even to purchase a second home or apartment, there is a good chance that you’ll be dealing with a mortgage again. In an ideal situation, you’ll just be able to sell your old home and pay for a downsized one with cash. Unfortunately, not everyone can afford to do that. 1. Standard Mortgage: This is the traditional mortgage that you probably already had on your last home. It can last between 5 and 30 years. Qualifying for it is dependent on your income and your credit rating. 2. Second mortgage: A second mortgage is taken out in addition to a primary mortgage and is always for a smaller amount. Second mortgages generally have a higher interest rate because they are riskier for the lender. 3. Refinanced Mortgage: This is when you take your current mortgage and refinance it to change the type of loan (ex: ARM to Fixed Rate), change the rate, change the length of the loan, or any combination of the three. 4. Reverse Mortgage: With this type of mortgage, which is available to seniors 62 and older, instead of paying a lump sum, the lender cuts a monthly check to the borrower. At the end of the term, the bank owns the home. Reverse mortgages are typically no doc loans meaning that you don’t need to document your employment, income, or assets. 5. HELOC: This stands for Home Equity Line of Credit. Like a credit card, it is a loan that the borrower takes out in small sums (rather than a large lump sum) against the equity of his or her home. One of the advantages of this type of loan is that a person can take out as little or as much as they need and they only have to pay the interest on the loan at first. It is often used for things like repairs and renovations. 6. HECM: The Home Equity Conversion Mortgage is similar to a reverse mortgage except that it is regulated by the Federal Housing Authority and has some of the best rates. The costs and fees are generally worked into the loan. 7. VA Loan: A VA Loan is a mortgage that is guaranteed by the Department of Veterans Affairs. It is available to veterans of the armed forces and their spouses. It has great rates and can often be used to get into a home for little or no down payment. This type of mortgage is a financial product available to people who are 62 and older. True to its name, a reverse mortgage is like a mortgage in reverse. Instead of getting a lump sum that is used to pay for a home, a lender gives you monthly payments for your existing home for a fixed period. At the end of that period, the house is then either sold by the lender or refinanced by a family member. Reverse mortgages have a bad name because they only pay out a percentage of the total value of the home, have fees attached, and leave you without a home at the end of the term. It has a reputation as a desperate last recourse for seniors who can’t keep up with medical bills or the upkeep of their home. However, used properly by someone who fully understands what they are getting into, it can be a lifesaver. If a senior sells his or her home, goes through the trauma of displacing themselves from a home and neighborhood that they’ve lived in for twenty years, and ends up renting an apartment that costs as much as their mortgage, who wins? In the end, if an adult child or other family member really wants the home, a reverse mortgage gives them the time to financially grow into acquiring the property. The family member simply buys it from the estate with a new mortgage when the reverse has fully paid out. Any discussion of seniors and real estate would not be complete without a warning about scams and predatory real estate professionals. There are many people out there looking to take advantage of seniors who are either desperate, not thinking clearly, or just don’t understand the market. If they decide to sell, seniors should get a professional to help them to get the most for their home. It comes down to four things: price, condition, location, and competition. And, of course, condition of the house can make a huge difference. If a neighbor’s house has sold for X amount of dollars and that house has been updated, they need to understand that it will cost something to bring their house up to market value. Seniors should always find well-informed assistance before making any decisions. This may mean looking outside of their circle of friends and family for a trusted and impartial attorney or financial advisor who understands the fine print. Getting advice from a child or relative who has a financial stake in the outcome of a senior’s investments can be problematic and may not always produce the most beneficial results for the senior. Read and understand the fine print (or find someone who does) before you sign anything. If someone is rushing you, they are probably trying to get away with something. Ask neighbors about houses that have sold in the area. Go online and look at the assessed values of homes in your area to get a better idea of what your house is worth. It’s hard to put together a guide that covers every senior. After all, as we said in the introduction, we’re talking about an age span of 40 years or more. Still, if there’s one thing that seniors of any age should do, they should plan for the future! If you currently own a home that is too big for your needs, downsize while you still can. Do it for your own peace of mind and finances, but also do it so that you can put some of the capital that you have invested in your home to work. If you are entering retirement with a mortgage, do what you can to make it more affordable with a refinance or another payment strategy. If you find yourself in need, a reverse mortgage can be a great asset—if you get good advice and use the money wisely. The decisions that you make about your home and your mortgage will have long lasting effects on your life and on those close to you. Your home can be one of your greatest financial assets. Learn to manage the investment and you will be able to take care of yourself and maintain your independence and health well into the future. This is the website for Armand Christopher, the Seniors Housing Advisor we consulted with for much of the information in this guide. 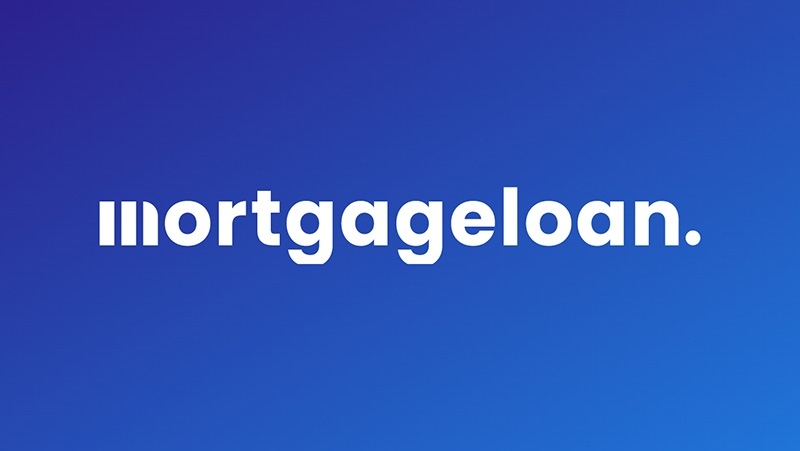 This is the website for Don Girogio, a mortgage banker and reverse mortgage expert who helped us to put together our information on reverse mortgages. Seniors Real Estate Realtors is a part of the National Association of Realtors. Its realtors are qualified to address the needs of buyers and sellers over the age of 50. An AARP site with links to various helpful calculators like reverse mortgage and retirement calculators. This site links to a multitude of resources for seniors including taxes by state, places to retire, publications, and state agencies. A fair article on the state of reverse mortgages and the various options available. The Housing and Urban Development Information for Senior Citizens website: great links and information for everything from reverse mortgages to senior care to finding an apartment. Resource with links to various gov sites regarding housing for seniors. A Housing and Urban Development site with links to information about HECM’s and reverse mortgages. American Association of Retired Persons: Up to the minute comprehensive site on all relevant topics for seniors. The National Senior Citizens Law Center is a non-profit organization whose principal mission is to protect the rights of low-income older adults.